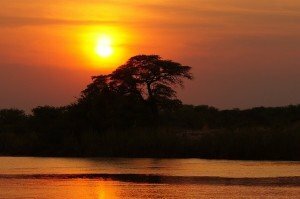 Located in the southern portion of the African continent, Botswana is a stable democracy with over two million residents. The nation has two official languages: English and Tswana. Botswana’s economy is largely powered by the mining industry with gemstones and precious minerals in abundance. Large deposits of uranium were recently discovered. Whether you’re in the mining, tourism, manufacturing, or services industry, if you do business with partners and customers in Botswana, you may find it advantageous to get Botswana virtual numbers to facilitate international communications. What is a Botswana Virtual Number? A Botswana virtual number is virtual in the sense that it is not physically tied to any given location or phone. When you order a virtual number, you will be prompted to select the “ring to” number, which is the number where any incoming calls will be forwarded to. For example, if you set your Botswana virtual number to ring to your office in New York City, that’s where all of your calls from Botswana will ring. It’s important to note that your Botswana virtual number looks and acts like any other toll free number in Botswana. Your callers within Botswana will not need to do anything special in order to reach your New York office. There are no Botswana exit codes or USA country codes to figure out and enter, and there are no worries about dialing a foreign country. In fact, your Botswana callers may not even realize that their phone calls are being answered on the other side of the Atlantic. Because your number is virtual, you can also change its ring to number as needed. For example, if you’d rather have your London office handle all incoming calls from Botswana, you could change your ring to number to your London office’s number. Month-to-month Botswana virtual number plans are available, all without contracts. Why Use a Botswana Virtual Number? How are you using international virtual numbers in your business?